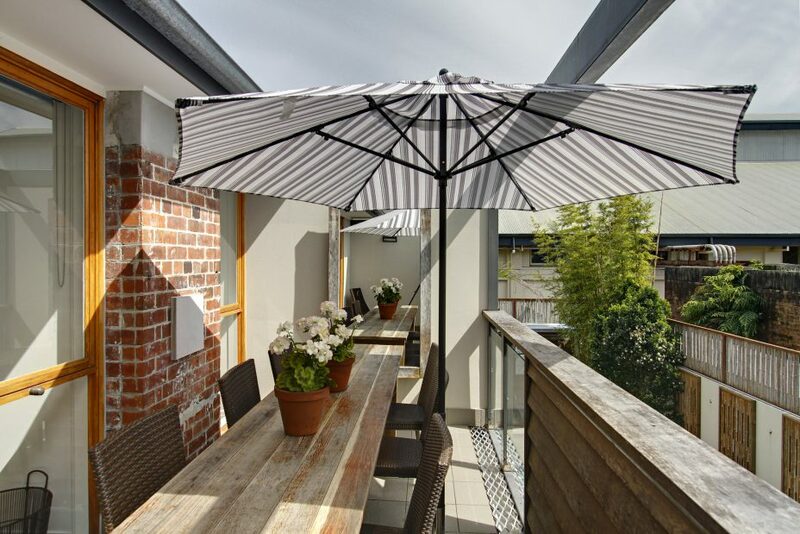 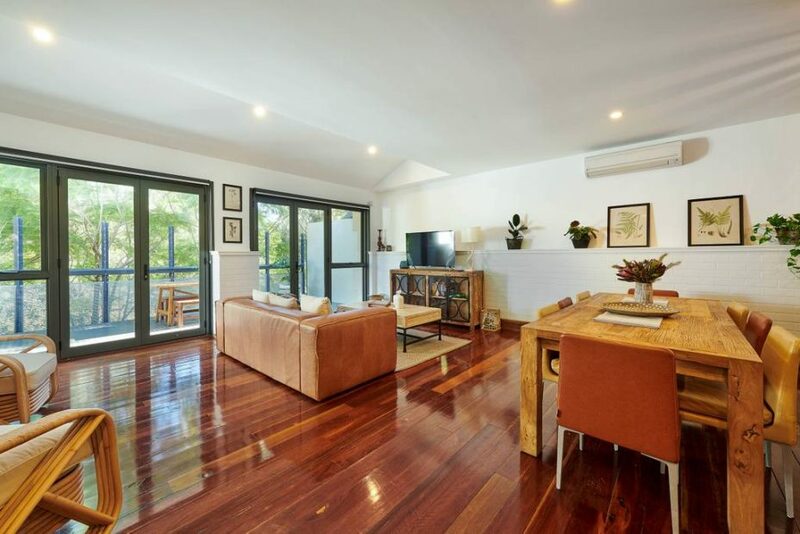 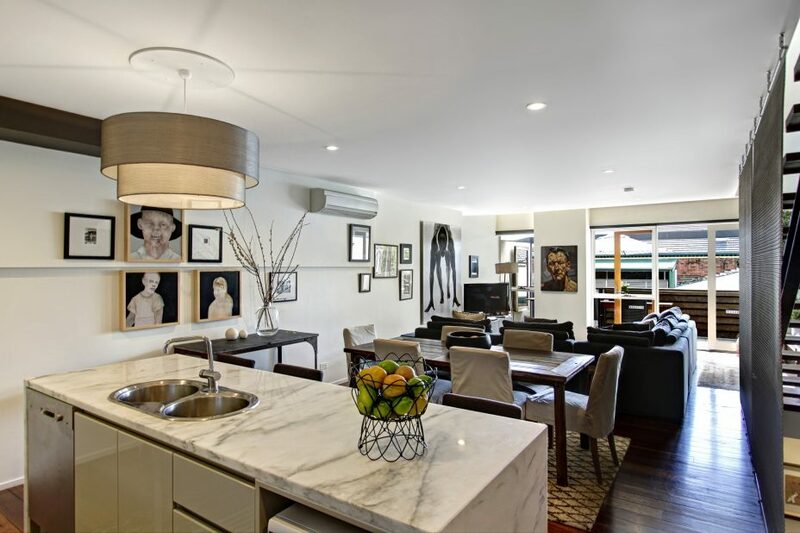 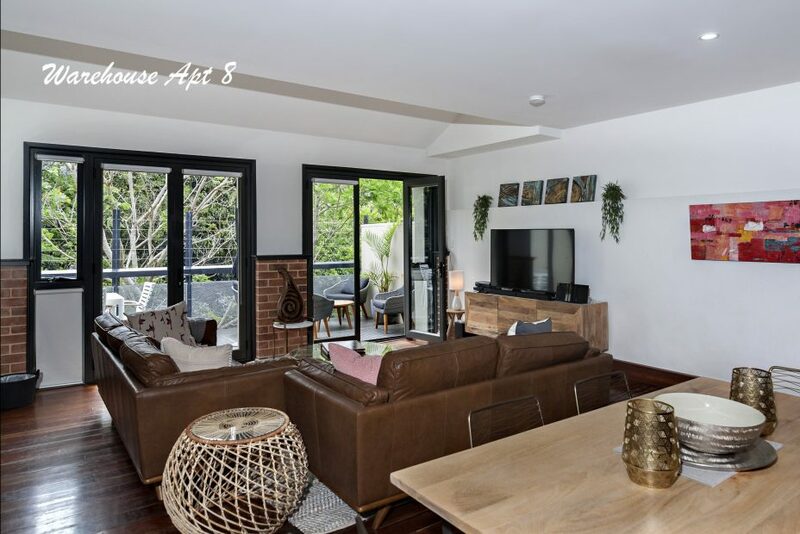 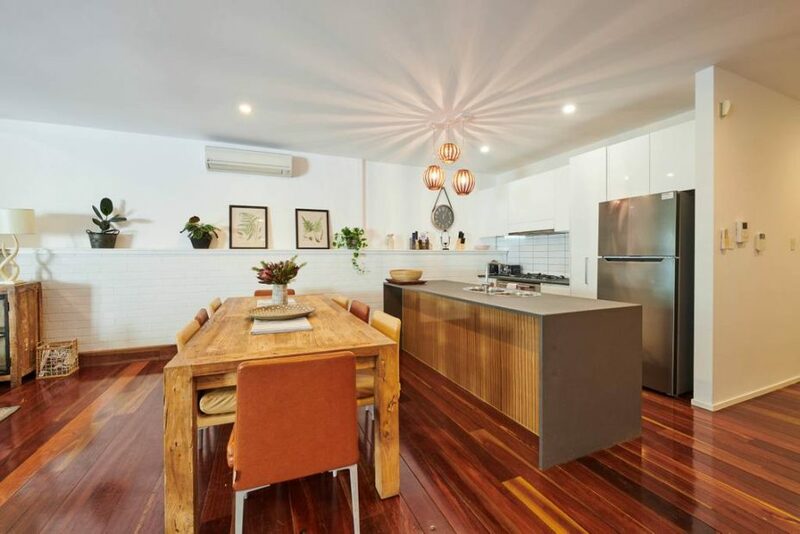 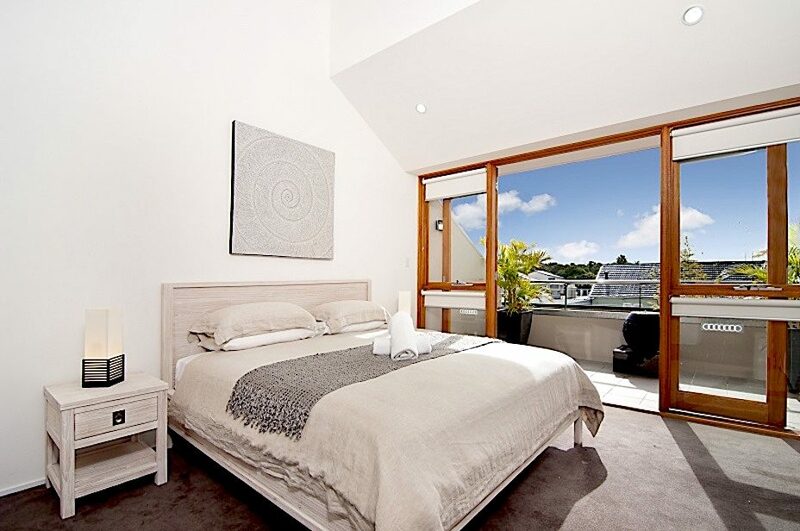 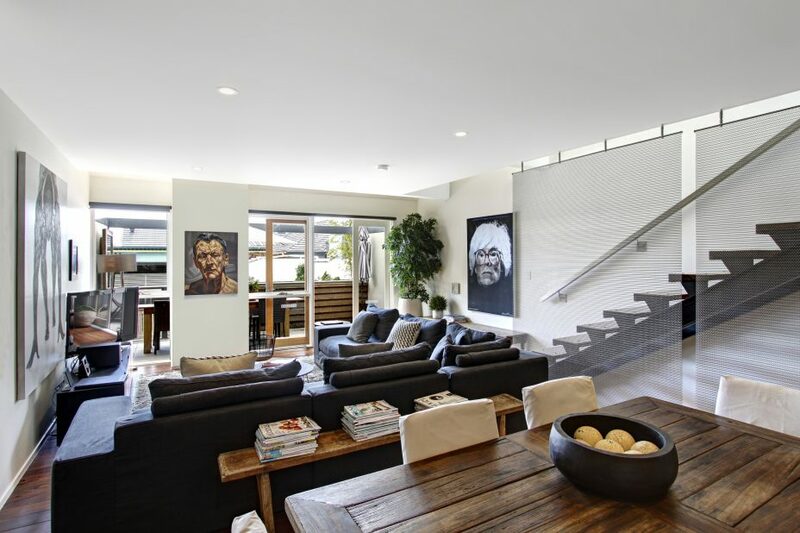 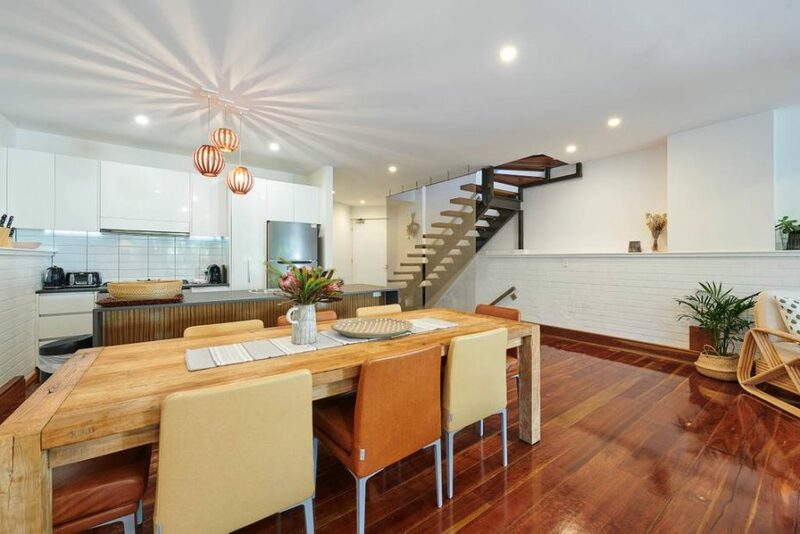 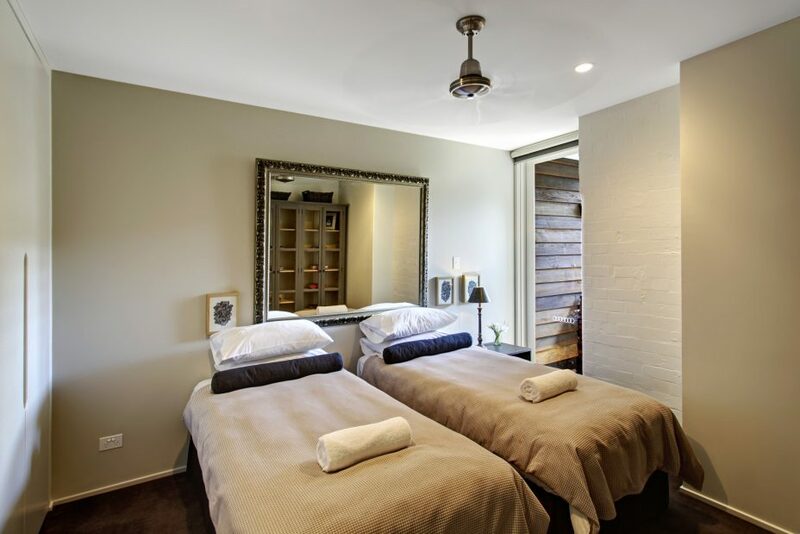 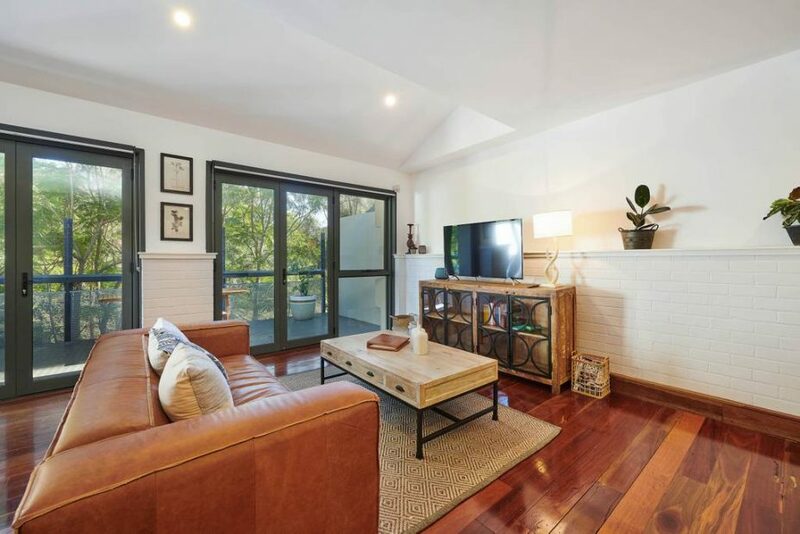 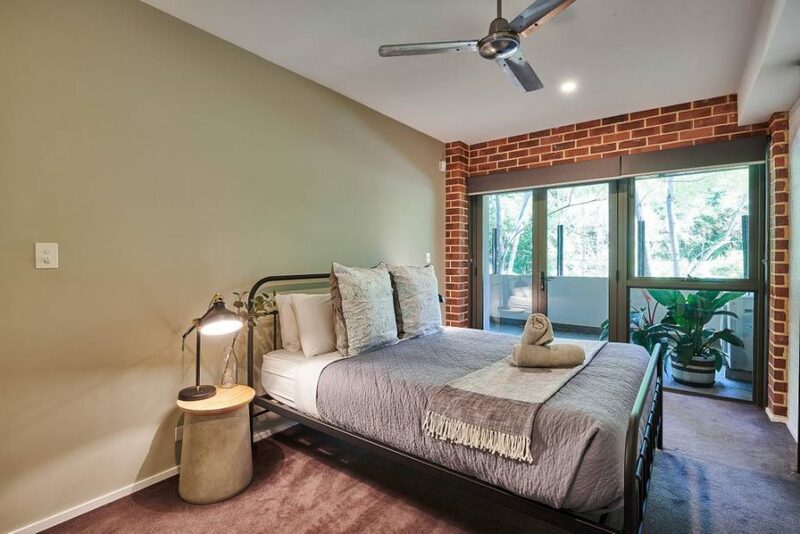 Spacious, 3 bedroom, 2 bathroom Byron Bay Apartments in the beautifully appointed and historic Butter Factory. 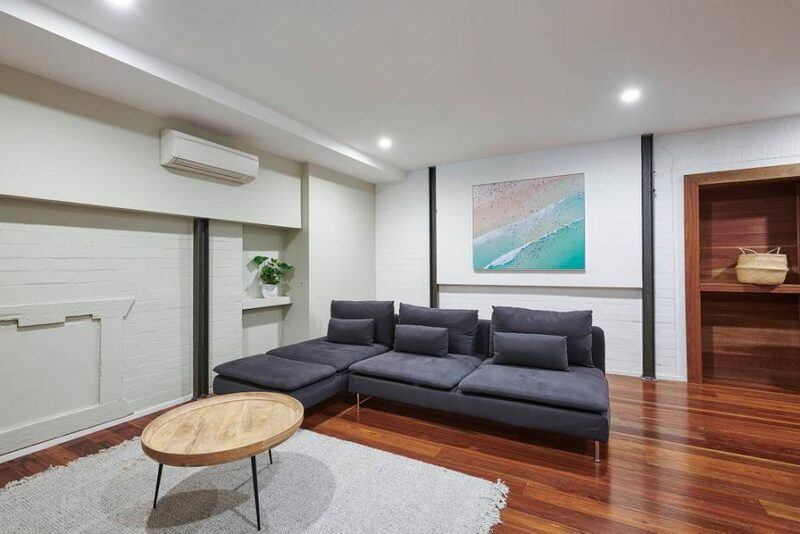 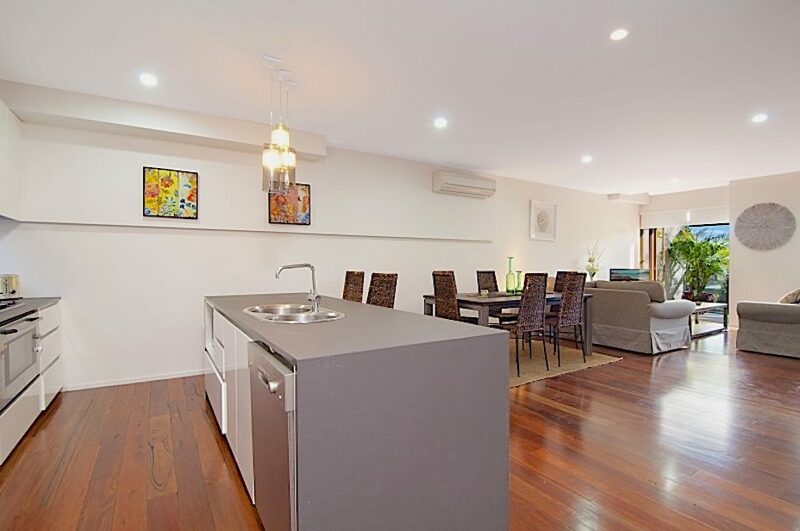 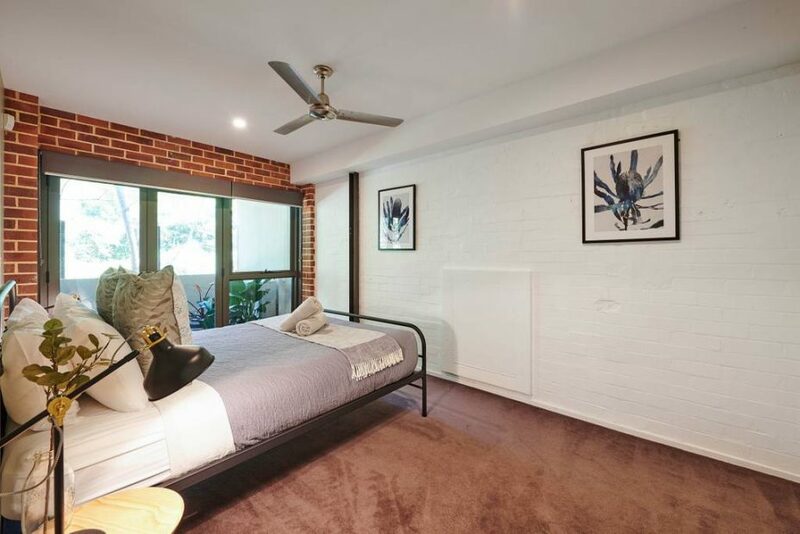 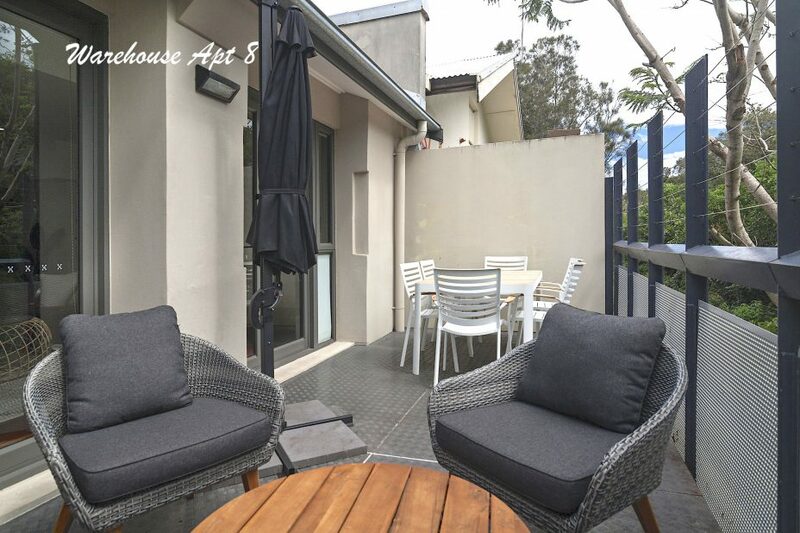 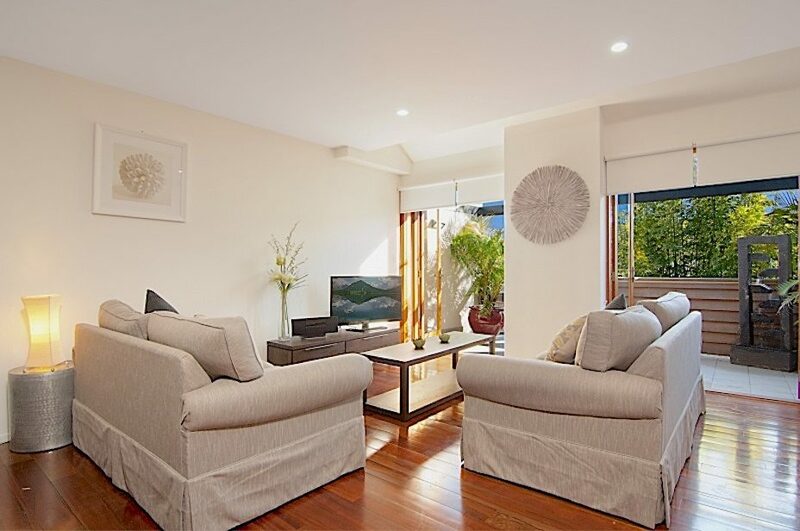 Make your holiday something special with these spacious Byron Bay apartments, right in the heart of Byron Bay. 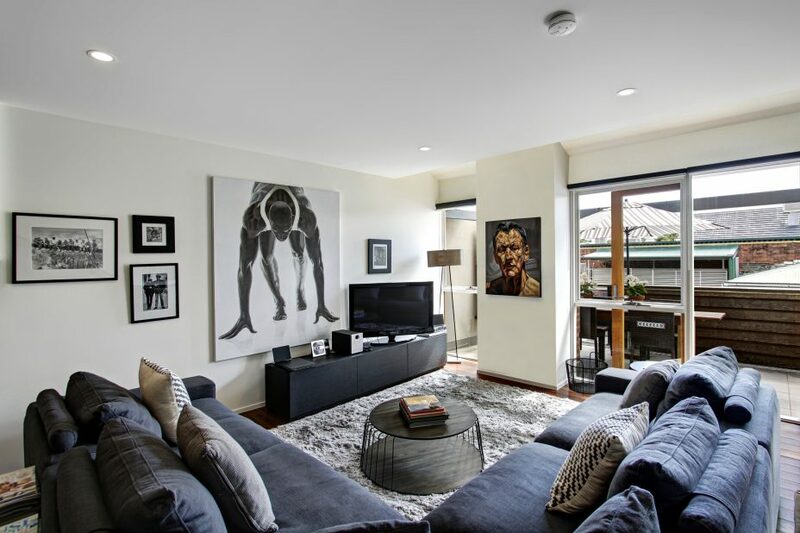 Stroll to the nearby mix of eclectic shops & restaurants that Byron Bay has to offer. 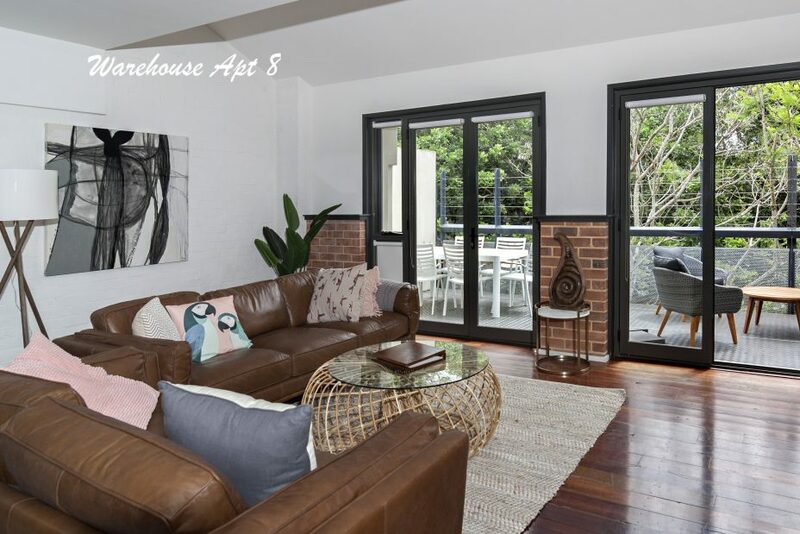 The conversion of the old “Byron Butter Factory” has transformed this historic building into spacious & light-filled, warehouse style apartments. 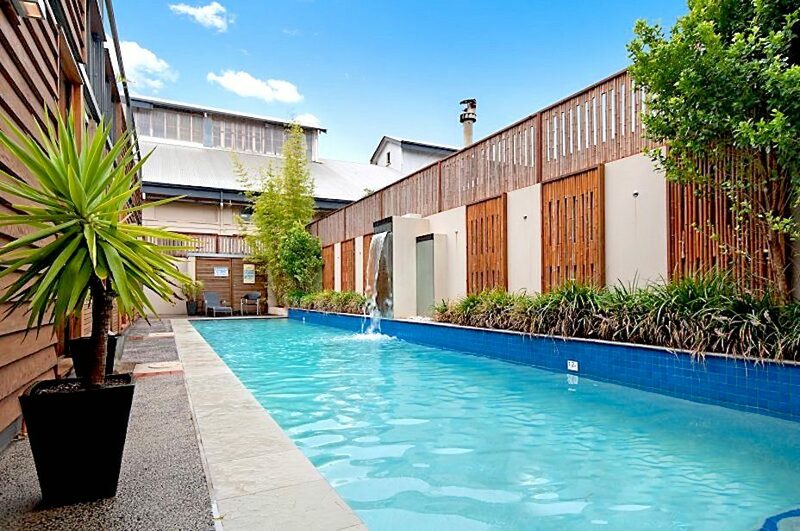 Walk though the town centre to Main Beach, or enjoy the comforts of the Butter Factory pool, private garden courtyard & BBQ area. 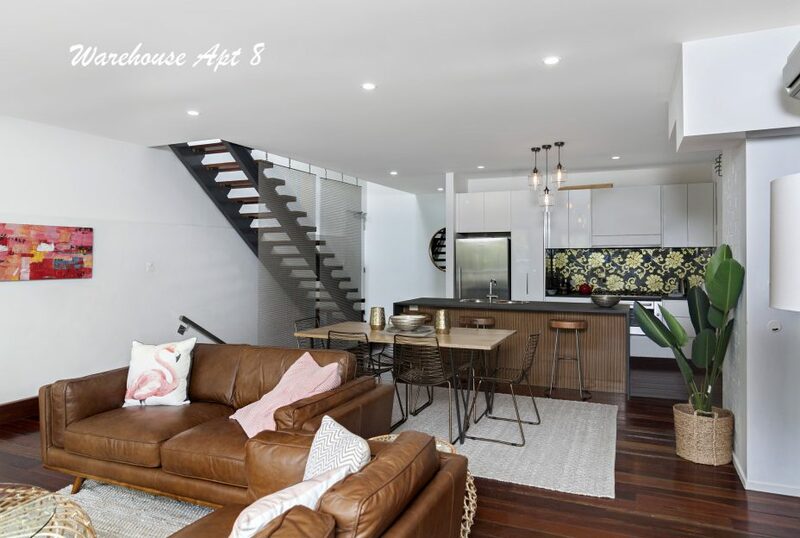 The layout provides for easy access to all levels and the elevated living also allows access to the common spaces and landscaped areas. 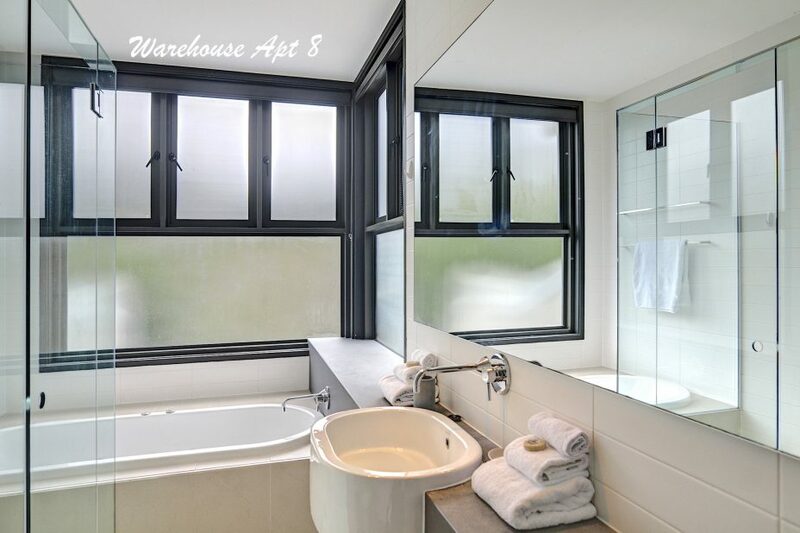 Beautiful, contemporary, light-filled, 3 Bedroom/2 Bathroom, warehouse style apartments. 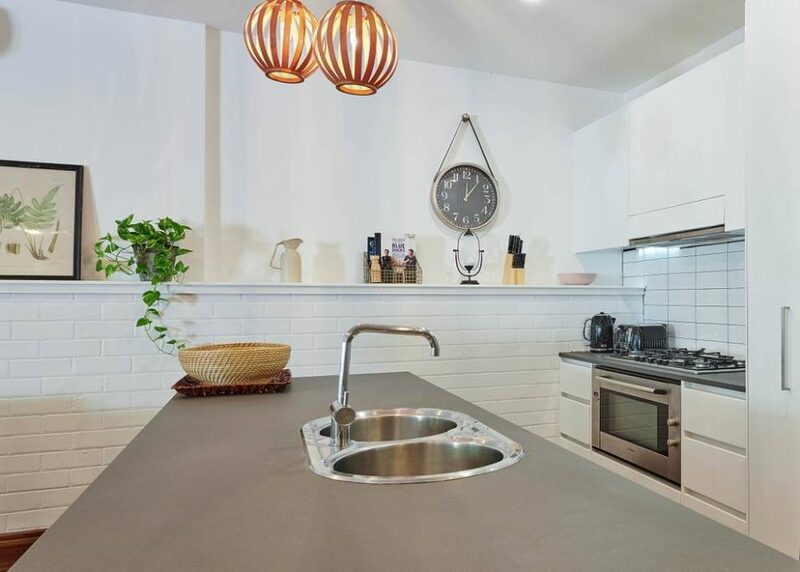 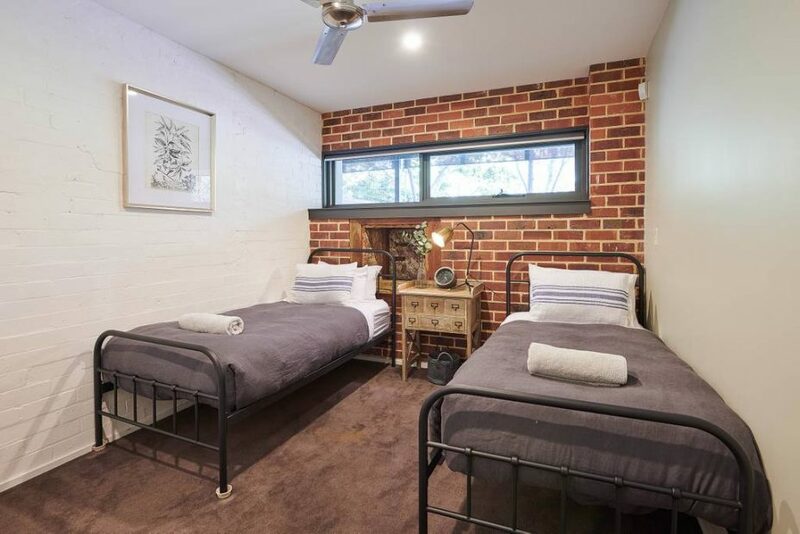 Just a short walk to town, these air-conditioned apartments offer laundry facilities, a fully equipped kitchen, separate living room with flat-screen cable TV and a DVD player and undercover parking. 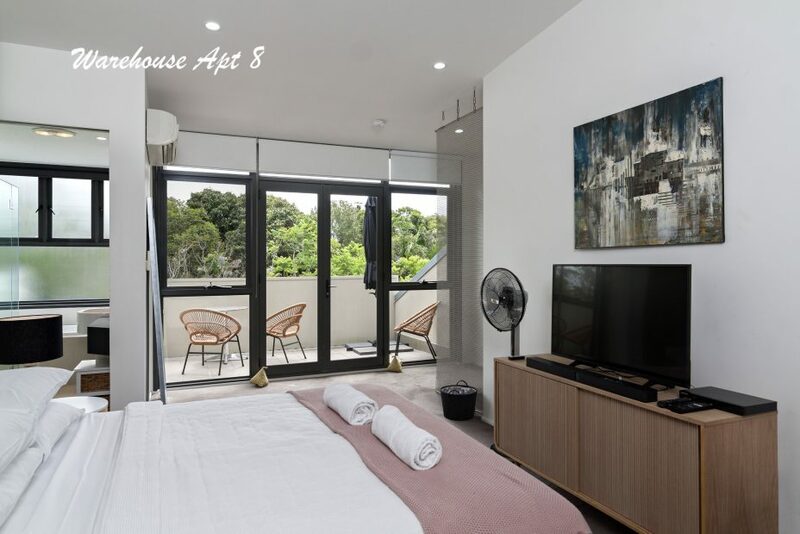 LOFT APARTMENTS – Spacious apartments on the second floor, with 3 bedrooms, 2 bathrooms & spa bath, all on one level. 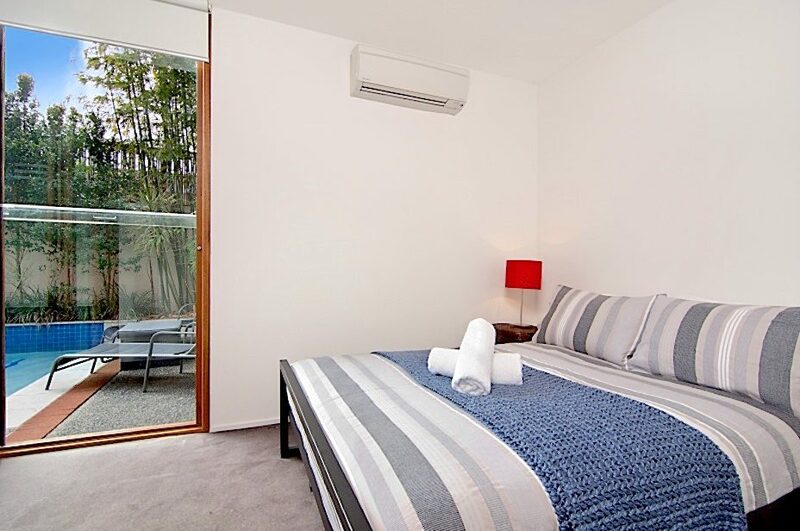 3 Bedroom apartment – Main Bedroom: King bed, 2nd Bedroom: 2 Single beds, 3rd Bedroom: 2 Single beds. 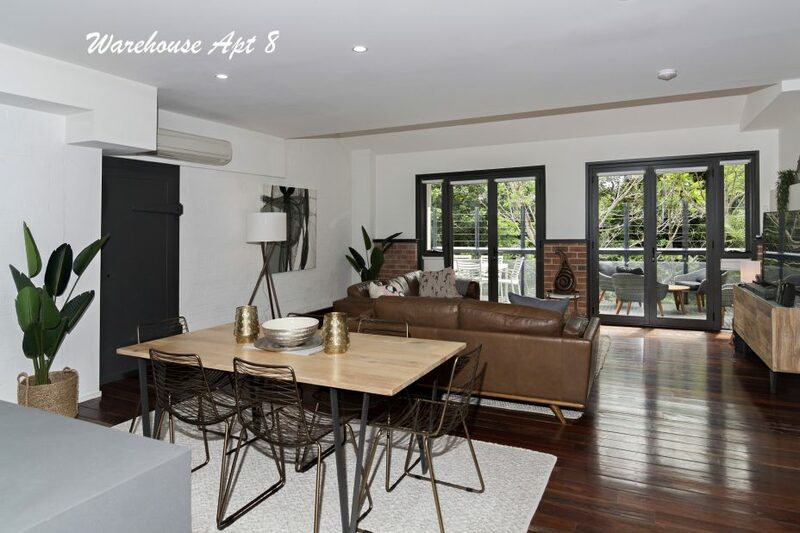 WAREHOUSE APARTMENTS – The spacious Warehouse apartments have three levels, conveniently entering the living, dining & kitchen area, then upstairs to the large main bedroom and ensuite, or downstairs to the second living area, second & third bedrooms and a second bathroom. 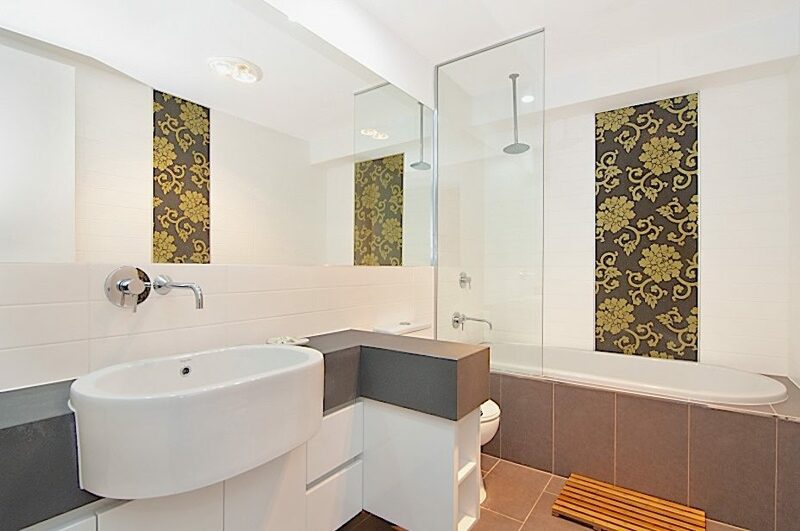 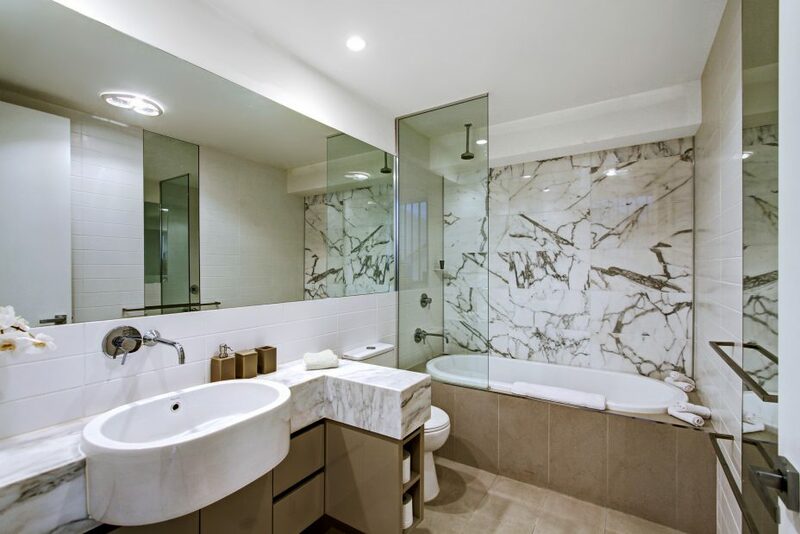 3 Bedroom apartment – Main Bedroom: King bed, 2nd Bedroom: Double bed, 3rd Bedroom: 2 Single beds. 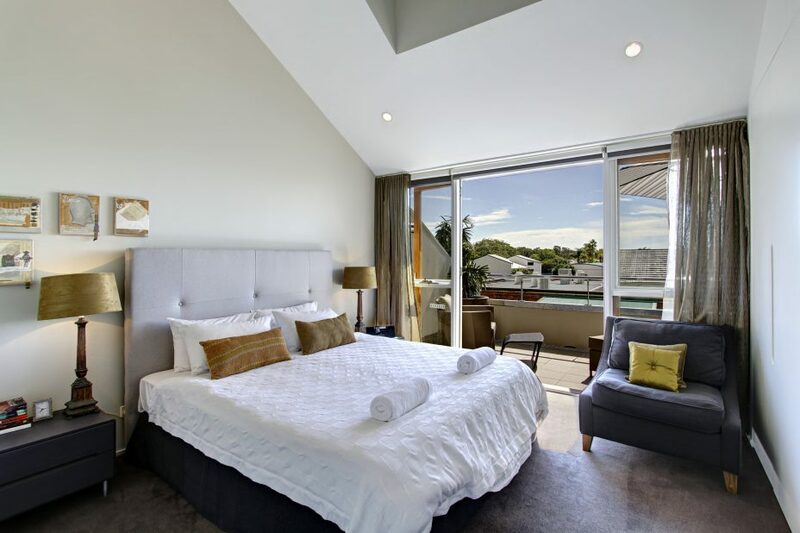 3 Bedroom apartment – Main Bedroom: King bed, 2nd Bedroom: Double bed, 3rd Bedroom: Single bed with trundle. 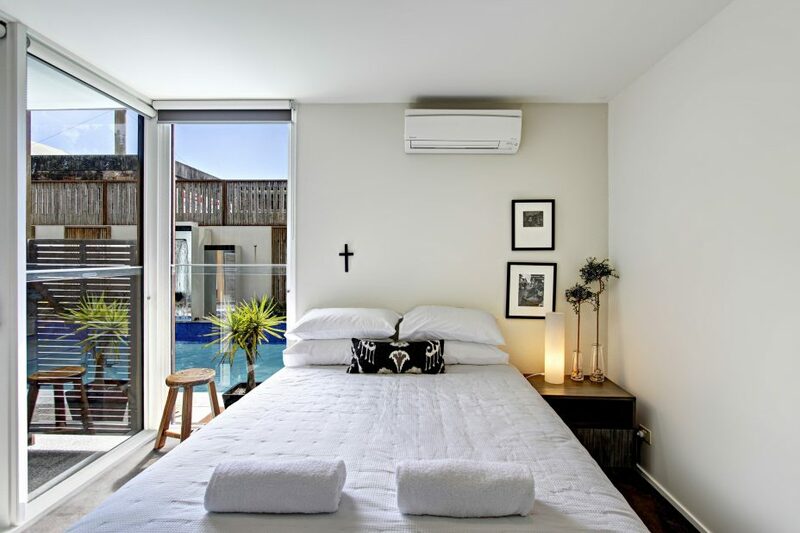 POOLSIDE APARTMENTS – The poolside apartments have direct access to the stylish lap-pool, and the garden courtyard & BBQ area. 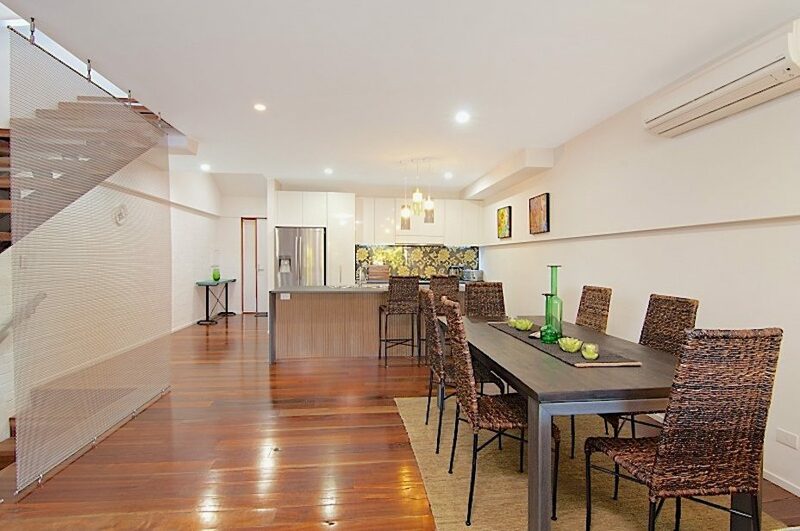 Each apartment also benefits from its own private garage with access to the apartment. 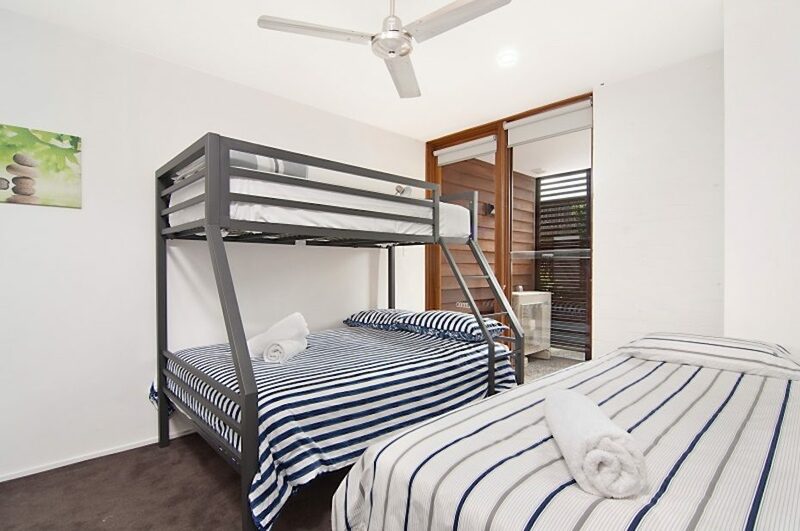 3 Bedroom apartment – Main Bedroom: King bed, 2nd Bedroom: Double bed, 3rd Bedroom: Double bed with Single bunk over plus a Single.